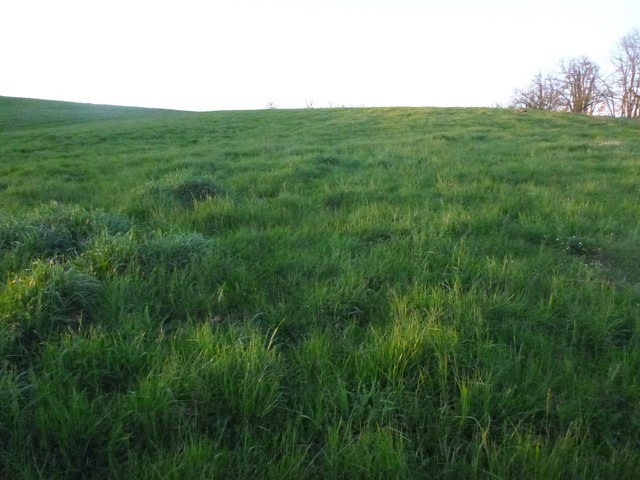 The California paddock was planted to mixed pasture and is now looking good, which isn’t bad given it is still late Winter. The legume on the left is lotier. We use the French name for it because it is easier to say than Birdsfoot Trefoil. The first plant to grow back in fall after a hot dry summer has been lotier, so I figured it would be good to have more of it on the farm. Meadow Fescue was the grass seeded here because it forms a good sod for winter grazing. It seems to grow well in Winter too. I’m still figuring out what grows when and how to graze it and this winter growth is useful to help shorten our hay season. 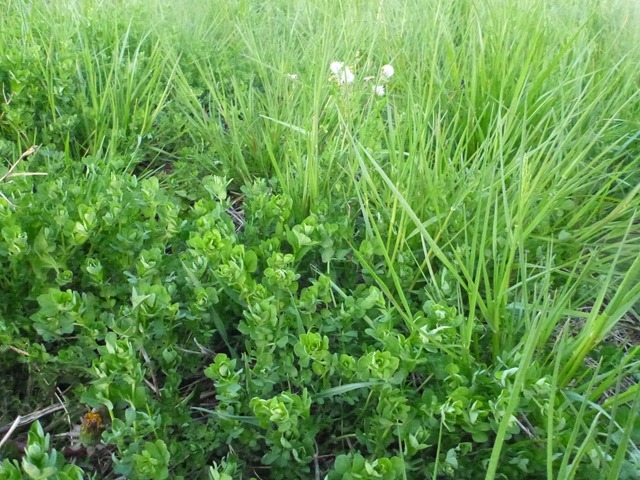 Fescues dominate our older pastures, so I guess it is going to do well in this paddock too. There’s red clover here with the lotier. We don’t use nitrogen fertilizer so legumes are useful for their nitrogen fixing as well as their protein content. And the cows love it. So, from grass to punk with three minutes of perfection. 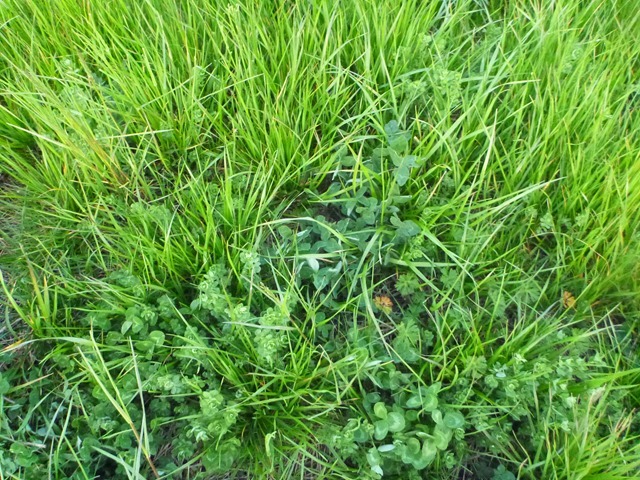 I always love looking at photos of your pasture. You guys have done such a marvelous job! I bet it’s very satisfying looking at all that green at this time of year!